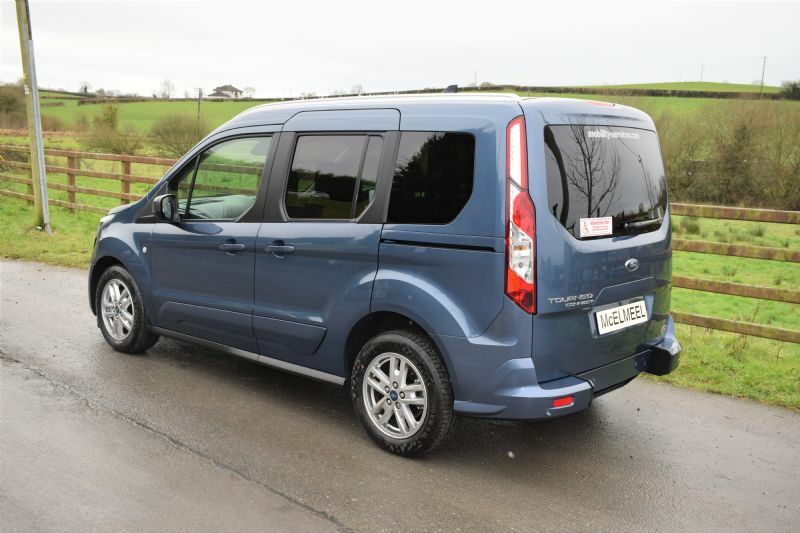 The Ford Grand Tourneo Connect Flexi Zetec TDCi SS Automatic 120PS Diesel 1.5 is the LWB Connect which has been converted by McElmeel Mobility Services to make it fully wheelchair accessible. Seating 4+ the wheelchair with auto-stop-start, lowered floor and rear parking sensors. A superbly comfortable car equipped with safety and comfort features that make this car an absolute pleasure to travel in. Available from £21,499.00. Price includes delivery and first registration. VAT not included in price. VAT is 20%. Wheelchair users are VAT exempt. This LWB Connect vehicle is available to purchase privately or through the Motability Scheme for customers receiving the Higher Rate Mobility component of DLA or PIP.